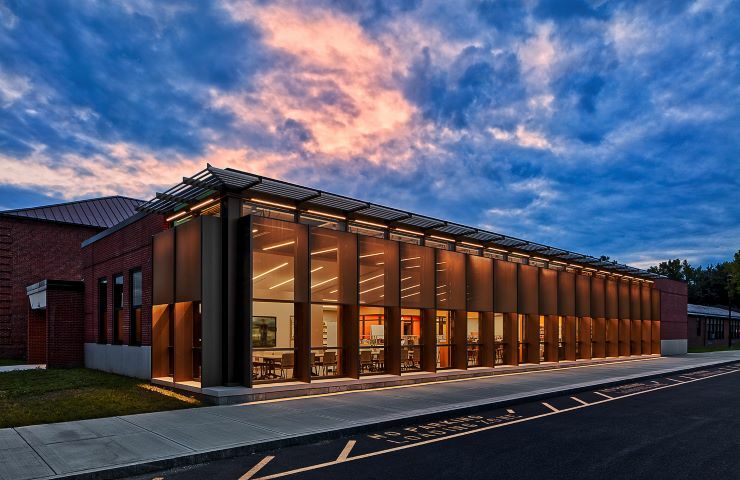 Coxsackie Athens Central School District - Hoosick Valley Contractors, Inc.
Hoosick Valley was the General Contractor on this project bringing the architect’s award-winning design to life. The project consisted of a new Library Media Center addition, interior renovations throughout the school, security upgrades, door hardware replacement, and site improvements. 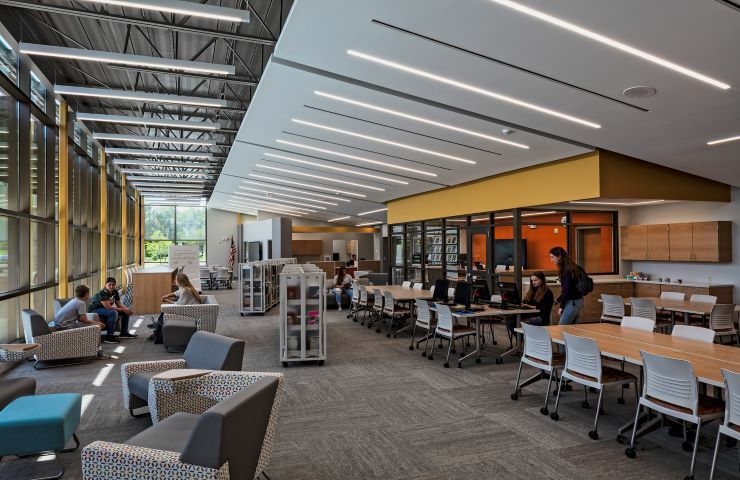 The new library provides flexible spaces designed to offer a stimulating environment for the needs of 21st century learning for students, staff, and community members. Large open glass windows feature perforated screening and solar shades to minimize glare while opening up the space to natural daylight. The Genius Bar located at the center of the library offers tech support and group study for school-issued mobile tablets. 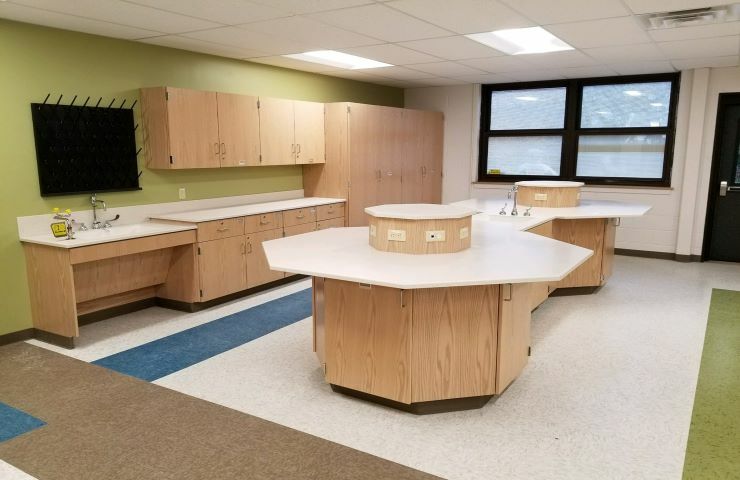 Classroom renovations included new laboratory casework in the Science Rooms, new equipment in the Technology Rooms, and new ceilings, paint, acoustical panels, display cases and flooring in the Art Rooms, Music Rooms and Corridors.